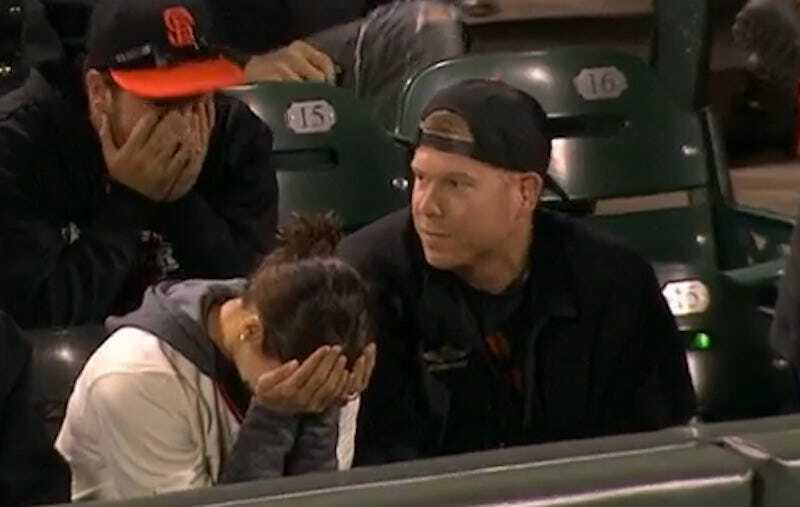 In the bottom of the seventh inning of last night’s Giants-Diamondbacks game, a Giants fan sitting near the left-field line accidentally reached out and grabbed a fair ball. This happens all the time at baseball games, but things took a turn for the tragic in this instance. Those people are devastated. I understand that nobody wants to be removed from their seats for interfering with the game, but those two reacted like they just accidentally ran over a toddler. It’s not that serious, guys!